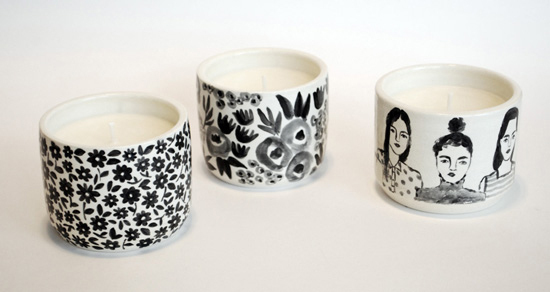 I love this beautiful candle collaboration between by Angela Hodgkinson’s lovely shop, Oui, and the sweet illustrations of Leah Goren. I also love that all proceeds from the sales of these candles will go directly to Central Oklahoma Humane Society to help with relief efforts for the sweet animals that were displaced and injured during the recent tornado. There are 4 different scents–I’d love the Rose + Patchouli and Grass + Neroli. More HERE. I love these. 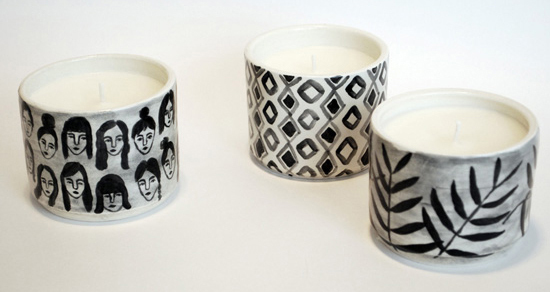 As a candle maker myself, I am trying to figure out more ways to involve my illustrator/designer friends. 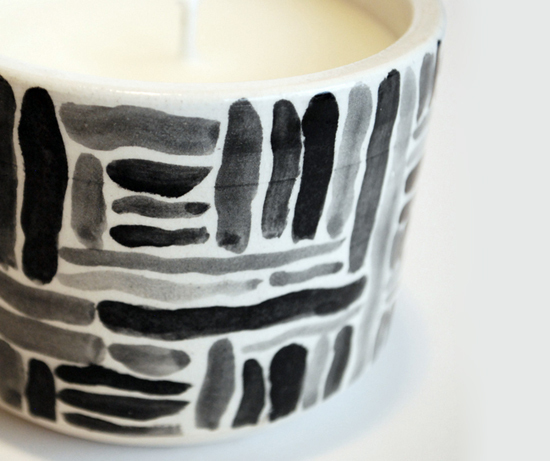 I was lucky enough to get my friend Laura to design the hang tags and logos, but hopefully after the business kicks off I will be able to do gorgeous container candles like this! Thanks for sharing. 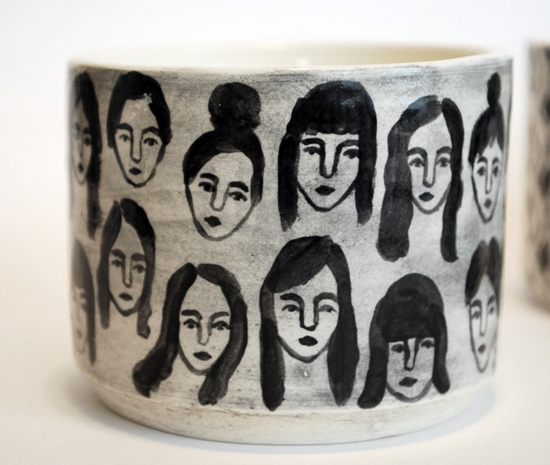 Yes–Angela always does an amazing job with her ceramics! Good luck, lady! I love this! 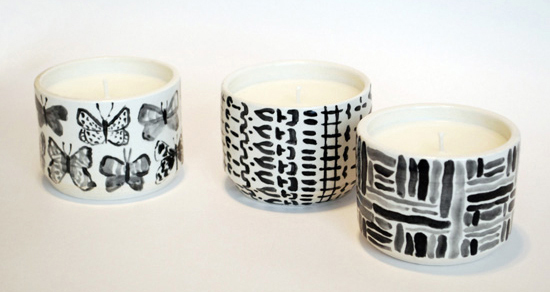 These candles look so chic and modern in their beautifully designed holders. 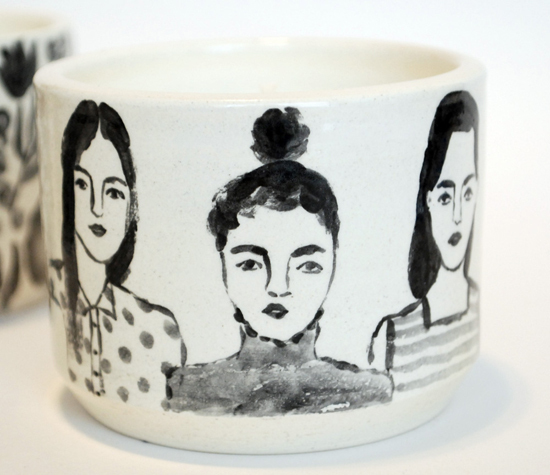 I love black and white for that modern yet elegant look! These are fantastic. Actually, it’s planting a DIY bug in me right now. I love creating things like this!